New regulations published by Brazilian medical device market regulators will simplify some aspects of Class I and II device as well as IVD registrations, but also introduce some new requirements for these market applicants. Update August 27 2015: ANVISA has now published the regulations mentioned below, which means these new rules will go into effect in 60 days. Over the long term, the new regulations will enable ANVISA to more efficiently manage device registrations since cadastro-registered devices will no longer need to be renewed. Over the near term, manufacturers affected by these changes should prepare to make any necessary changes to their documentation. 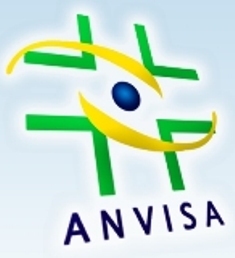 Emergo consultants attended a meeting of regulatory agency ANVISA’s board of directors held August 20 2015 in Brasilia, where the effects of proposed new regulations on lower-risk device and IVD registrations were discussed. Once the new regulations are published, ANVISA will begin a 60-day transition period for all affected registrants. On the other hand, ANVISA plans to require manufacturers and/or Brazil Registration Holders to compile and maintain technical dossiers on all Class I and II devices already approved by the regulator. This requirement will particularly impact devices with cadastro registrations, as these devices have not previously had to maintain such levels of documentation. This would, in effect, constitute a new ANVISA requirement for affected companies, but they would have 360 days to comply following publication of the new regulation. Any changes for Class III and IV devices? No proposals to change registration requirements for Class III and IV medical devices or IVDs were discussed or considered at the ANVISA meeting. For now, these products remain subject to registro registration requirements and Brazil Good Manufacturing Practice (BGMP) compliance.